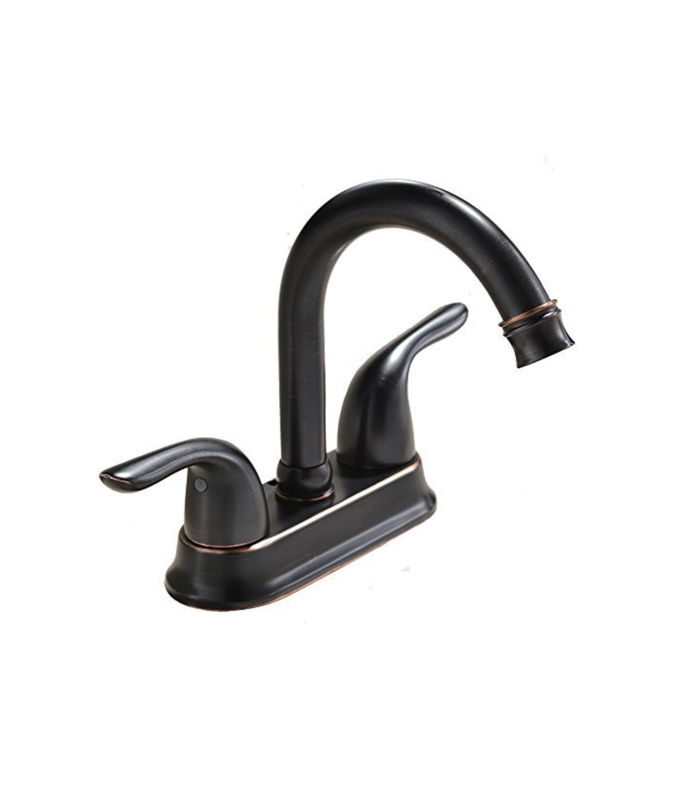 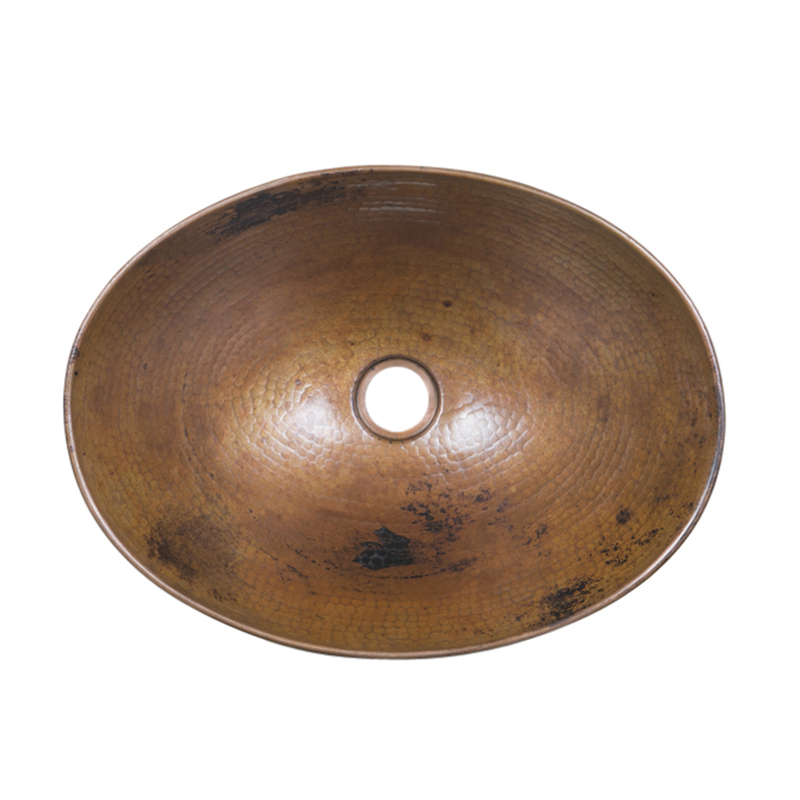 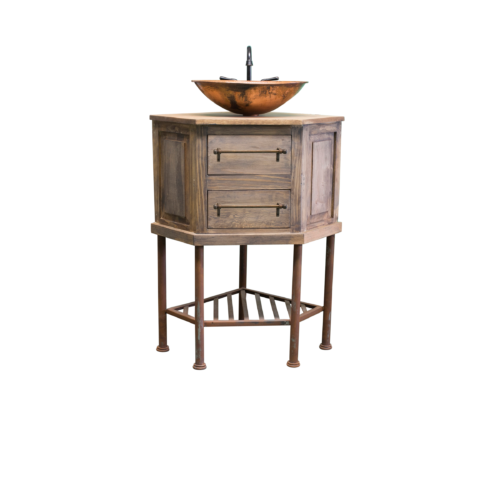 Designed to mimic our Robertson vanity, the Erickson offers the same design but in reverse. 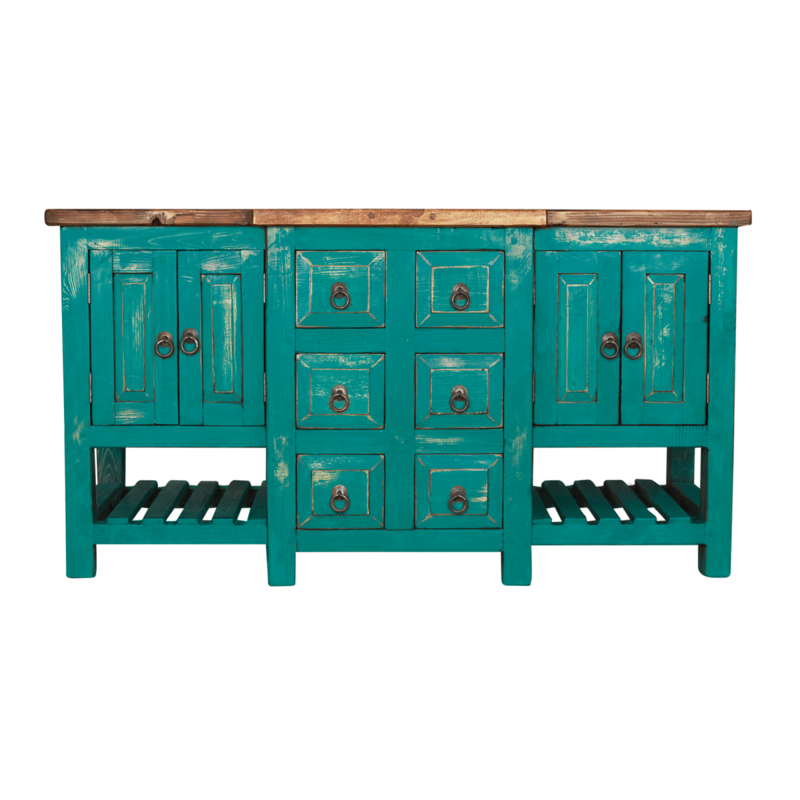 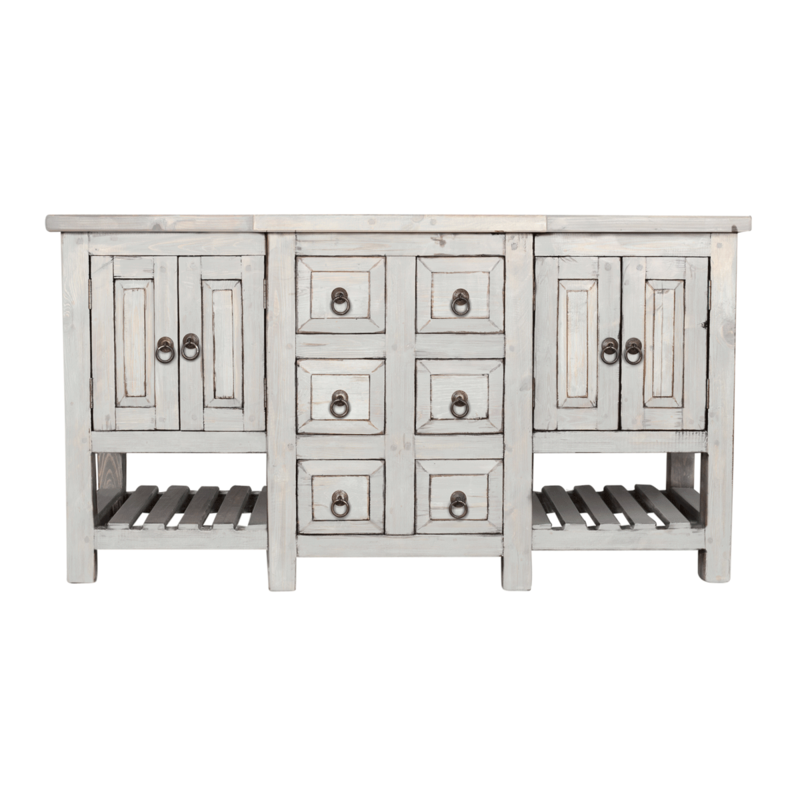 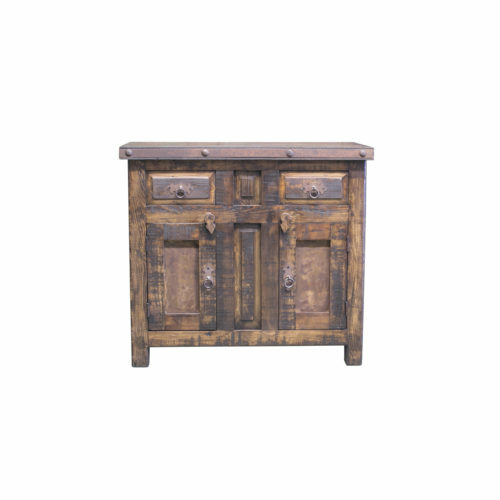 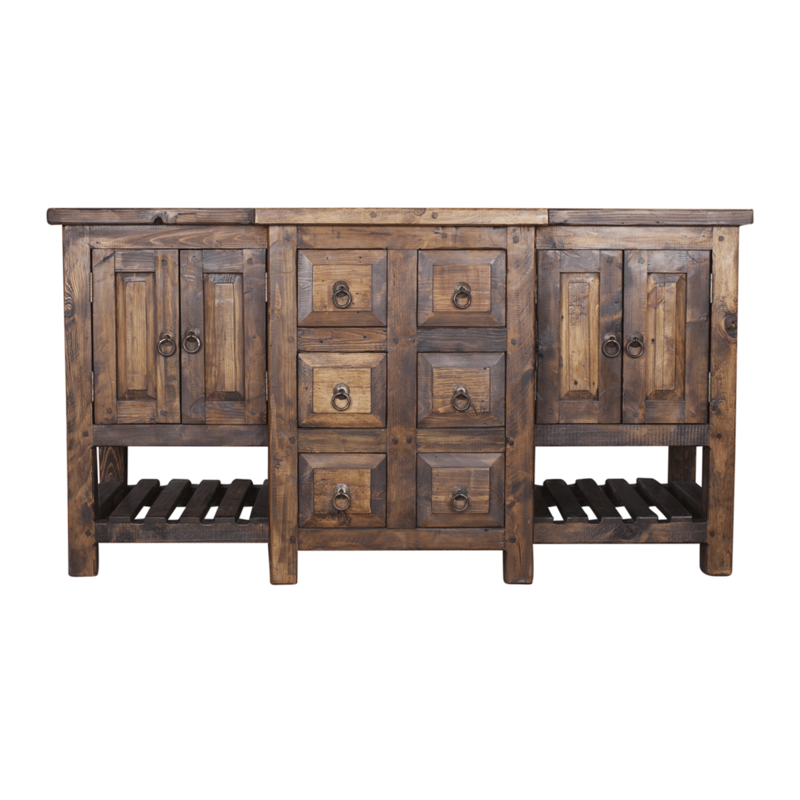 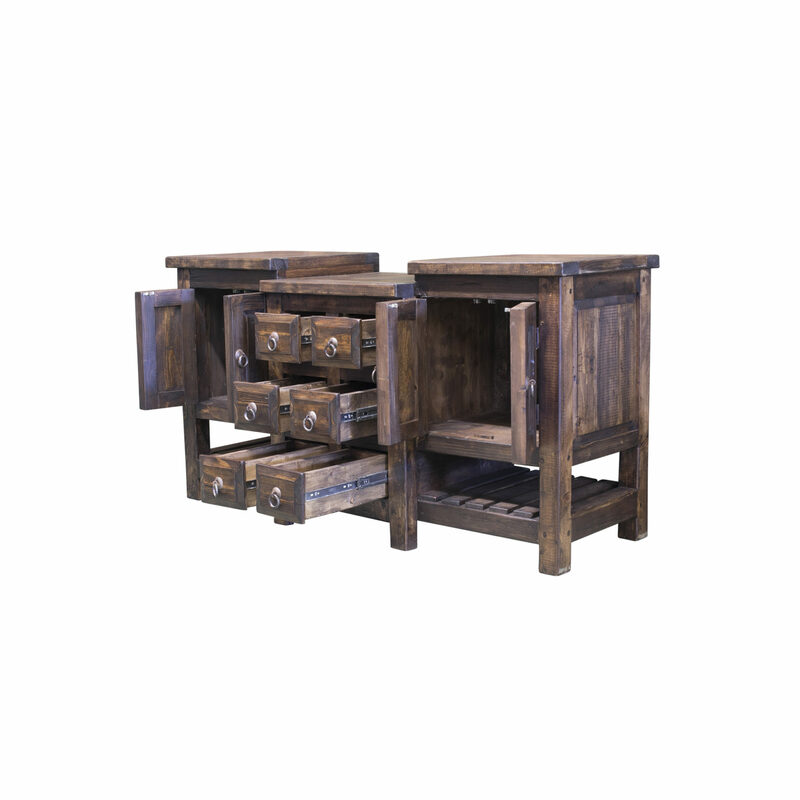 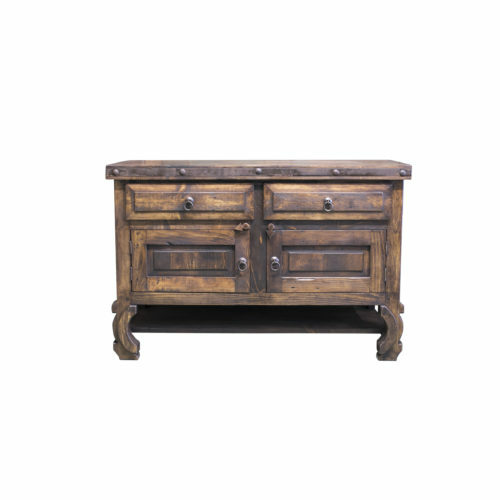 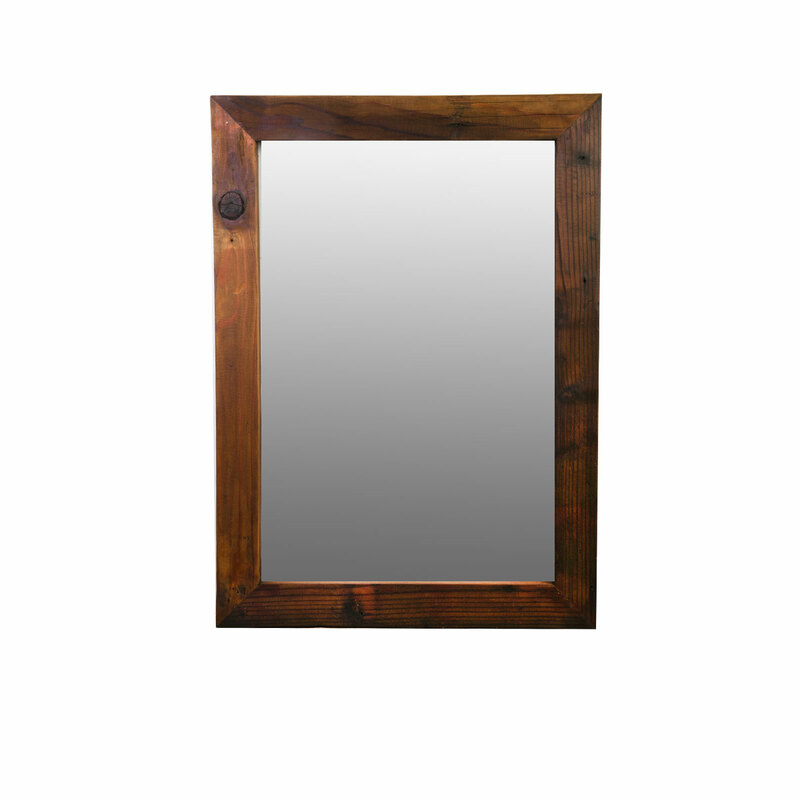 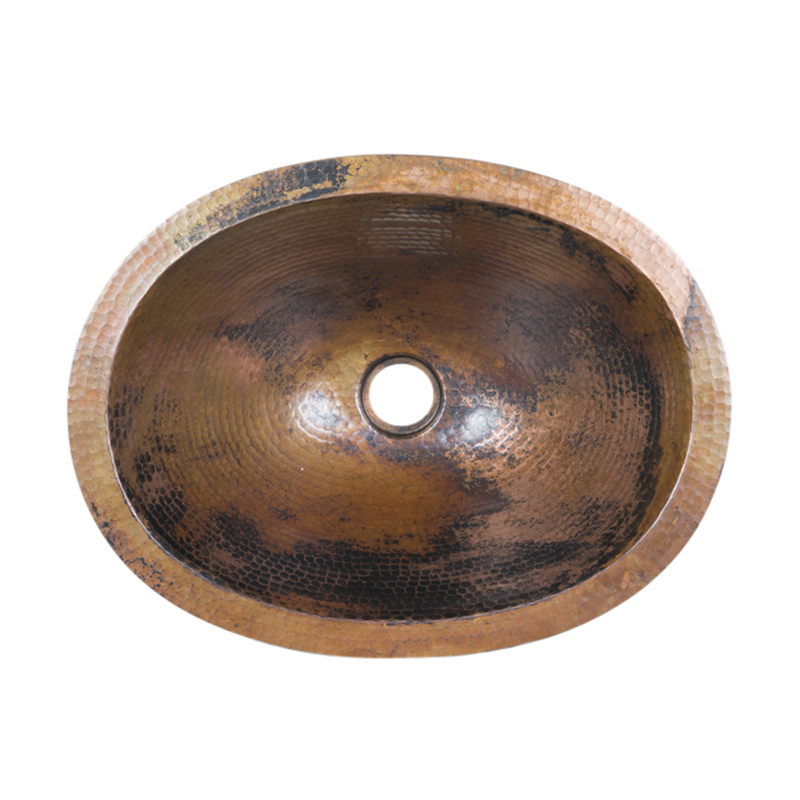 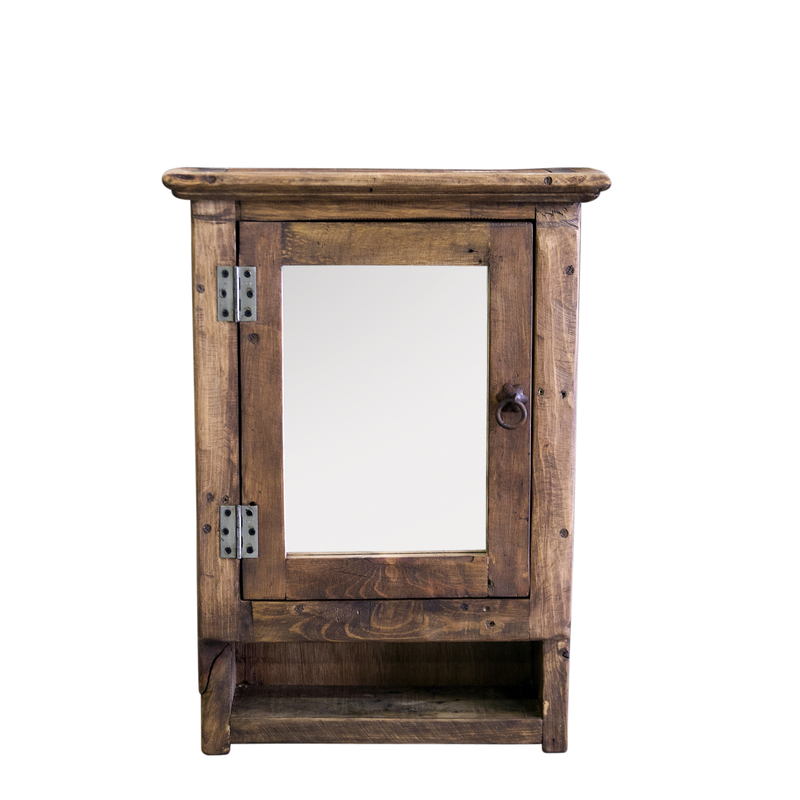 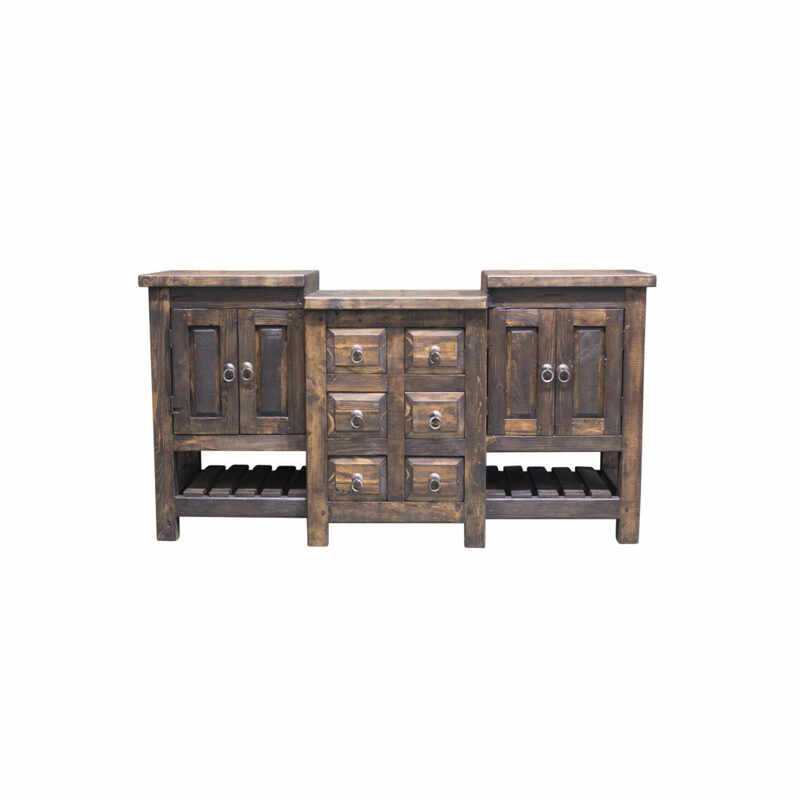 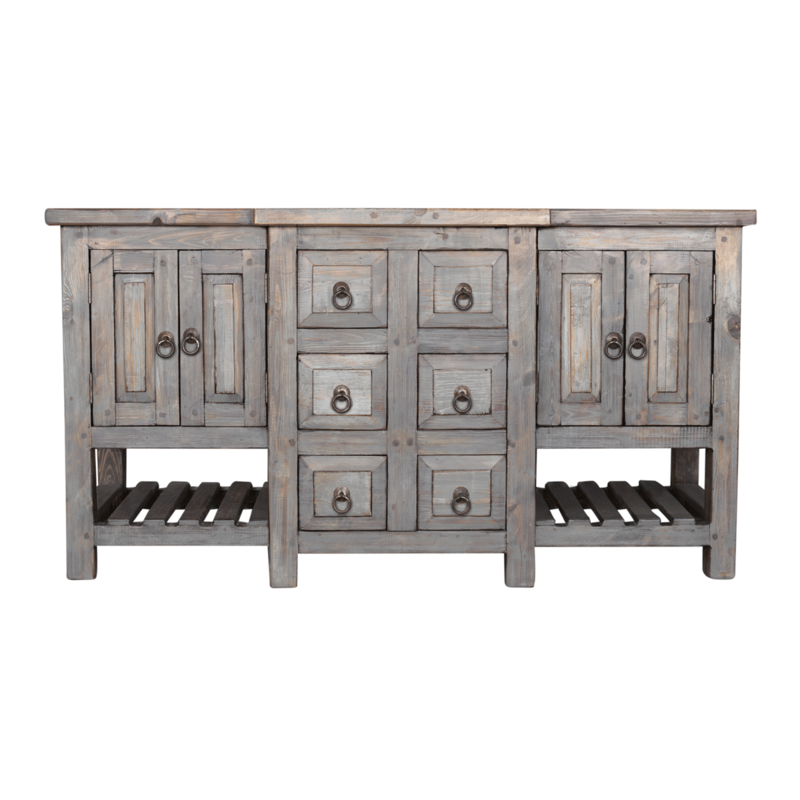 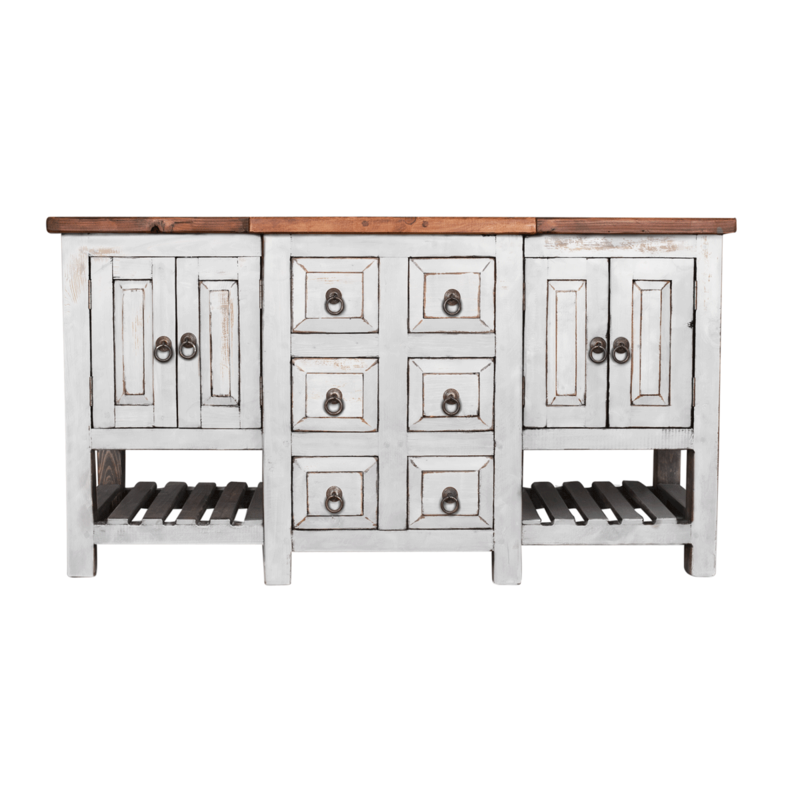 Crafted from solid reclaimed wood this vanity is build to withstand a lifetime of use. 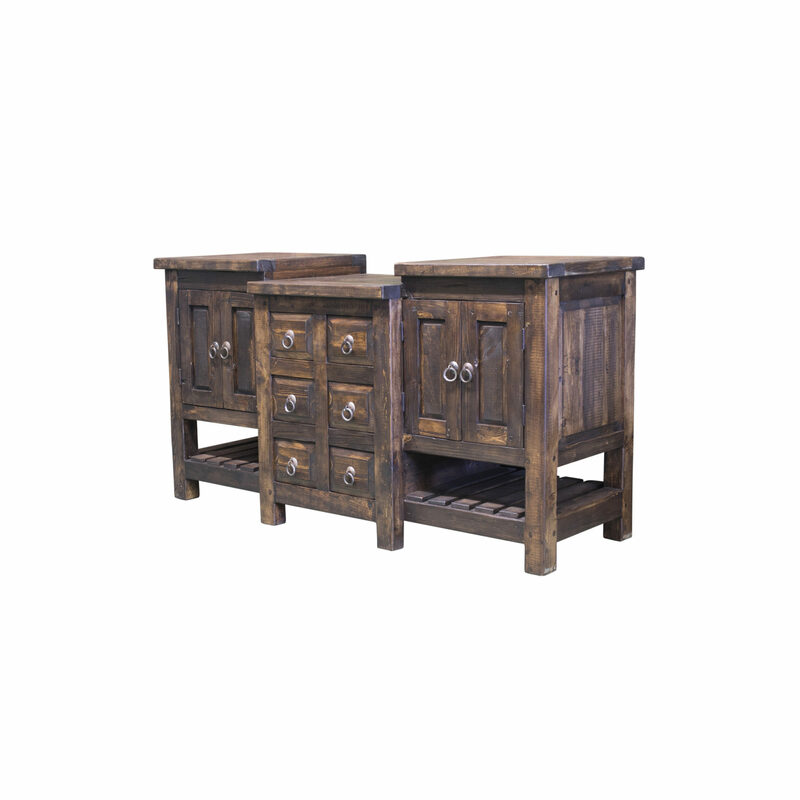 the drawers in the center are fully functional as well as the end cabinets. 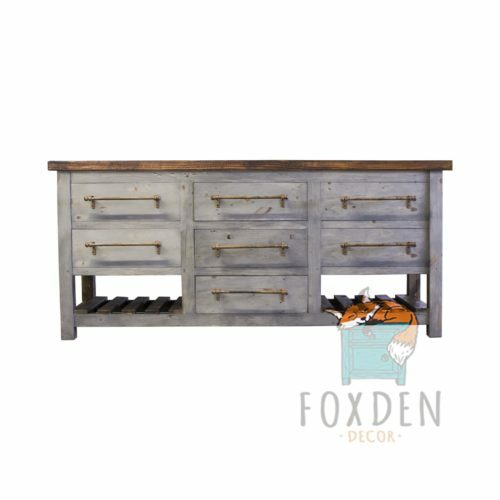 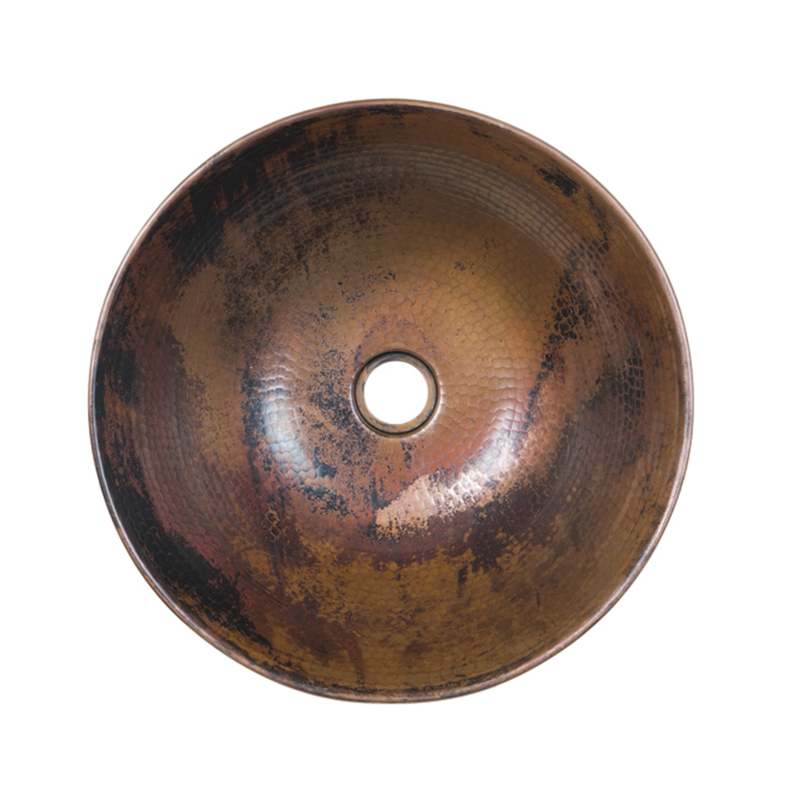 The ladder bottom can be used to store items or left open to display the natural reclaimed beauty.